How Do I Delete My Spotify Account? Spotify is great for streaming music and listening to music offline (with the Premium subscription). However, there comes a time when you just want to delete Spotify account or cancel your Spotify premium subscription. Hence, in this article, we discuss how to close a Spotify account or cancel your premium subscription in 5 simple steps. An image showing the Spotify contact page where you can cancel your Spotify account. Firstly, go to the Spotify Contact Us page. Are you signed into your Spotify account? If not, do so. Then, select the Account option. Then, you have two options, you can either Close your account or cancel your subscription. Choose Close Account (if you want to delete your Spotify account). Lastly, Spotify asks for a reason why you want to cancel your account. Once complete, click Send Question. Alternatively, you may need to take a few more steps to get Spotify support to help with closing your Spotify account. As above, visit Spotify’s contact form in a browser and sign in with your username and password. A webpage loads with various topics. Select any topic. However, instead of inputting your info, choose I Still Need Help. You can expect an email from Spotify telling you to visit the Spotify help forums. However, you can disregard the email and reply with “I want to delete my Spotify account.” A Spotify agent then contacts you and they may request some information to verify your identity. 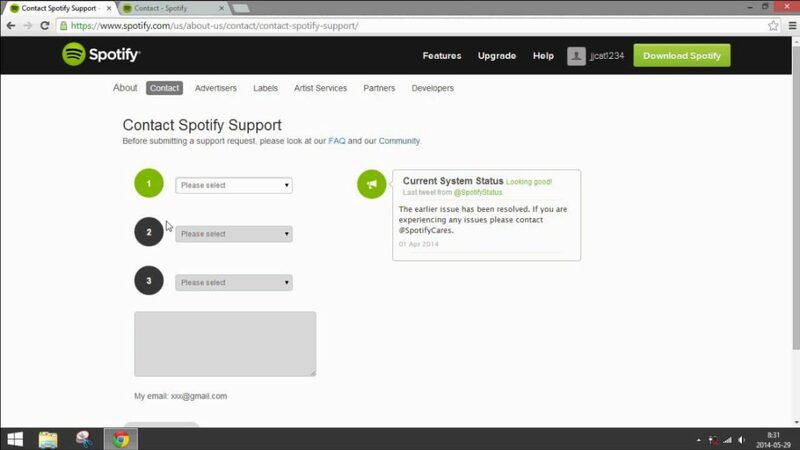 Spotify support will contact you at your email address once they process your request. What Happens When I Close My Spotify Account? Please note that once you delete your Spotify account, it is permanently deleted. Closing your account prevents you from accessing any of the information stored on it, including your custom playlists and offline songs. You also won’t be able to sign up again for Spotify with the same username. However, if you just want to cancel your Premium subscription, you can simply downgrade to Spotify Free. How Do I Get The Spotify Equalizer Settings? Can I Use The Old Version Of The Spotify Web Player? Go to the Spotify homepage. Then, Click on login (again). Once logged in, click on your username. Then, select account from the drop-down menu. From the menu on the left, click on subscription. Then, select cancel your subscription. Click on the reason you are leaving then click continue. Now, click on Cancel My Subscription. Finally, click on Cancel My Subscription. What Happens When I Cancel My Spotify Premium Subscription? Spotify allows you finish the remaining time left on your premium subscription up until your next payment due date. However, after that, your account remains active but as a free account. And, unlike when you close your Spotify account, Spotify saves all of your playlists and settings from your premium account for three months. Hence, if you want to go back, simply sign up for a premium account using the same account information. How Do I Know The Name Of A Song Without Knowing The Lyrics?